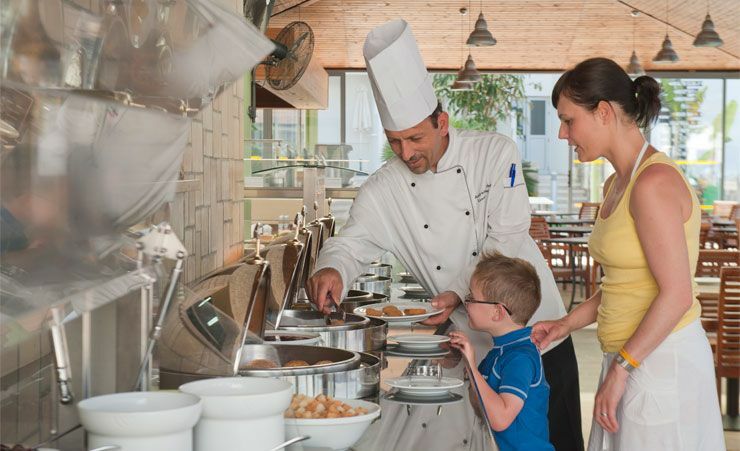 You'll be within easy reach of the many local shops and restaurants too; Paphos is a busy and bustling place, a fashionable resort that gets more popular by the year. 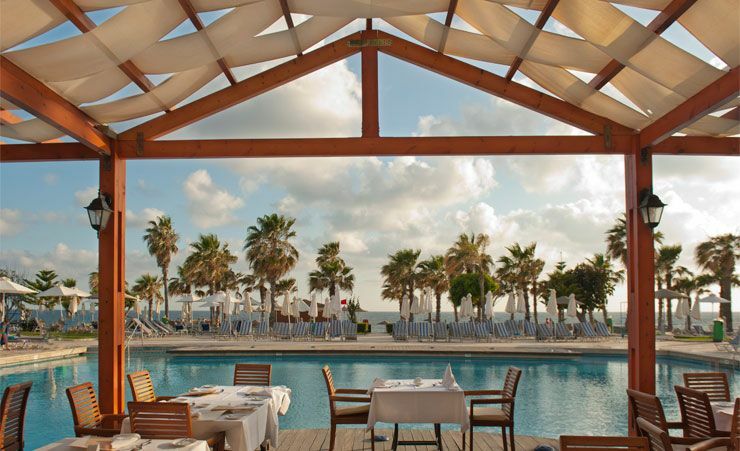 Perhaps best of all, the Louis Ledra Beach Hotel puts you right on the beach, and it's one of Cyprus' best. With such a perfect setting, you'd hope for a perfect place to stay too. The Louis Ledra Beach Hotel doesn't disappoint. All of the twin rooms are air conditioned and come with en suite bathroom. You'll also enjoy having a balcony: take a few moments to take in each day from here - it helps set the holiday mood. 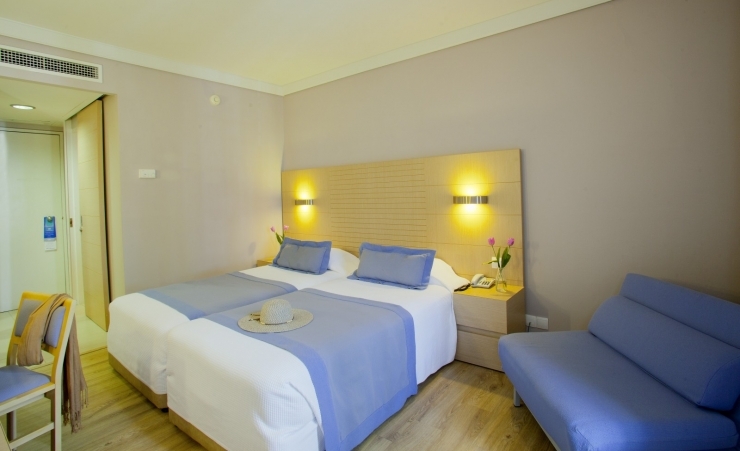 Your room will come with satellite TV, minibar*, hairdryer and drinks making facilities. You can also enquire about the beautiful sea view rooms. Making it a very indulgent stay, staying on Half Board you'll also enjoy a great selection of mouthwatering dishes for your breakfast and dinner, every day. 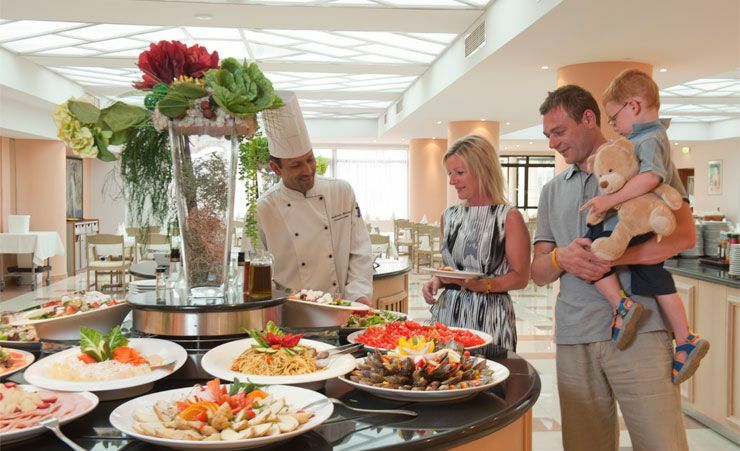 As you can already tell, you are going to be very well looked after at the Louis Ledra Beach Hotel. They want to make absolutely sure that your holiday is as comfortable and as enjoyable as it can possibly be. 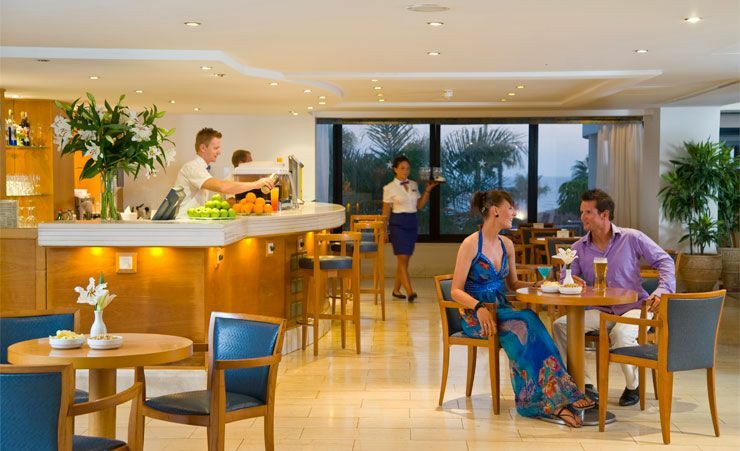 As well as the service, and the beach, and Paphos, there's a wide range of facilities at the Louis Ledra Beach Hotel for you to enjoy. 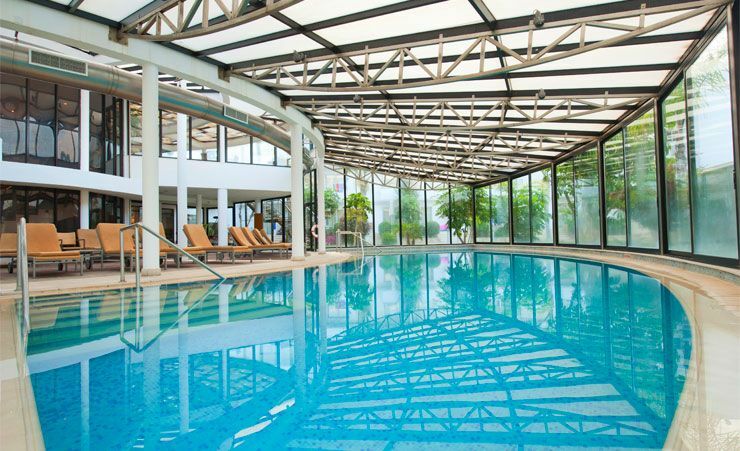 With two outdoor pools, an indoor pool, a gym, and sauna, you'll be spoilt for choice. And that's not all. Why not indulge in a visit to the cocktail bar or even the masseuse; this really is the place to treat yourself. 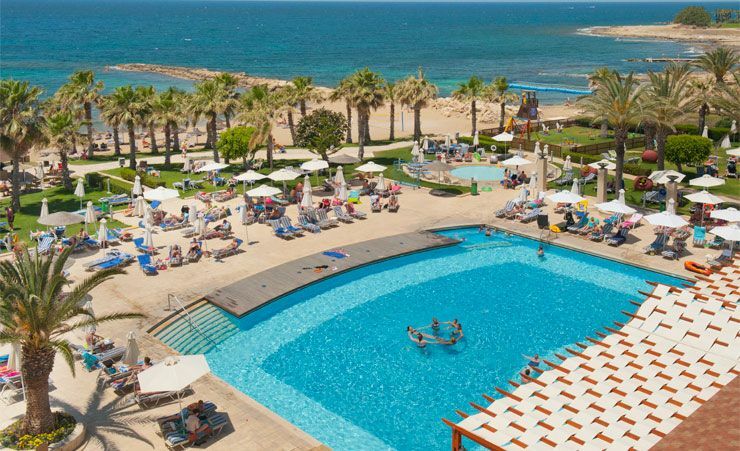 With a hotel base like the Louis Ledra Beach Hotel, you'll want to appreciate each and every second of your holiday in Paphos. This is your time, so make the most of it. 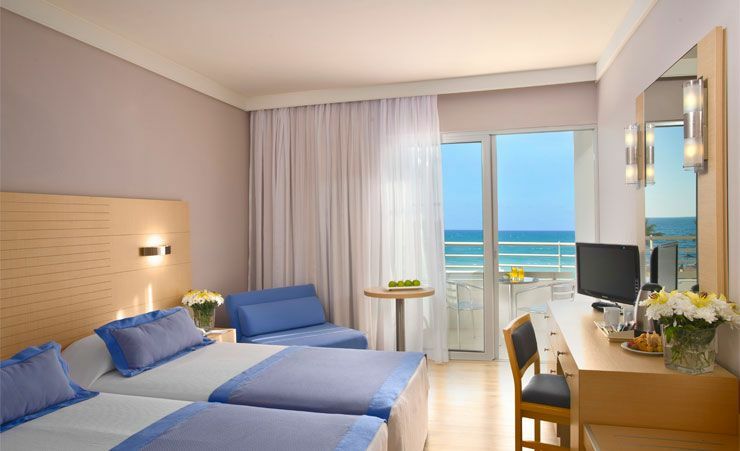 Find out more about your accommodation and the in room facilities at the Louis Ledra Beach Hotel . Up to 3 beds, 2 twin beds and 1 fold up sofa bed. Upgrade FREE 3rd and 6th week to Half Board for £17pp daily. Excellent location. Staff very friendly & ready to assist with anything at any time. Nothing is too much trouble. We asked to change rooms & this was done without hesitation. Mercury are a great travel agent to travel with. Everything is taken care of. Will always use Mercury for future holidays. Ledra Beach always comes up to expectations. All staff in all departments are first class. This hotel was fantastic. It was clean, facilities were good but the main thing that made our holiday was the staff. They were the best, so friendly. Cleaning staff were very good and worked hard, Dining room staff and food was exceptional and the entertainment team were the most sociable people who made our holiday swing. Also worth mentioning were the duo (male & female) who played twice a week. They were fantastic. Please pass these comments and thanks on to all the staff there. All staff were very helpful and friendly. The restaurant staff were exceptional and nothing was too much trouble. It was an excellent holiday, thank you. Mercury Holidays doing all the arranging for the holiday and flight, and not having to worry about using the internet myself was a real bonus. Friendly helpful staff in all departments. Wonderful holiday. First time have been away by myself since my husband died, but chose this hotel as I knew there would be lots of activities during the day having been to Imperial Beach several times - couldn't get a single room at the Imperial Beach without paying a supplement. ( Have booked the Imperial Beach for next year. The animation team at the Ledra were marvellous. They all worked so hard to make everyone's holiday a success and I had a great time. Thank you to the animation team. All staff at this hotel are exceptional. They will go out of their way to ensure your day to day needs & any special requests are met. Staff were friendly and helpful, we will probably return. 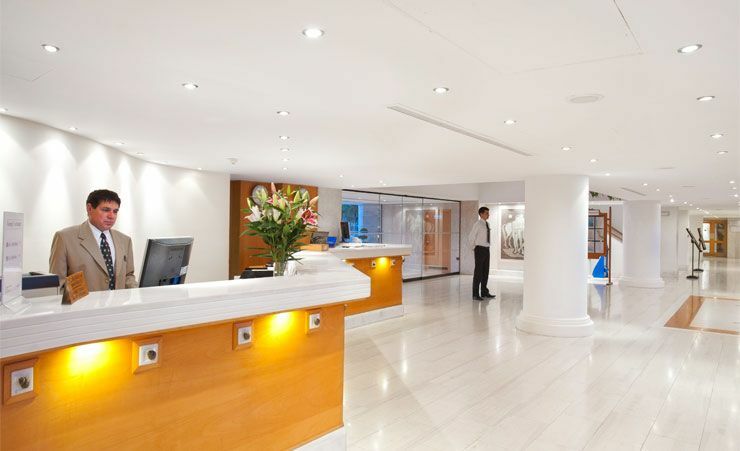 An axcellent hotel with efficiant relaxed and friendly staff. In an ideal situation. A very enjoyable holiday which we would hope to repeat.